Singapore Watch» Blog Archive » Alt-A and Option ARM – the 2nd wave after Subprime? 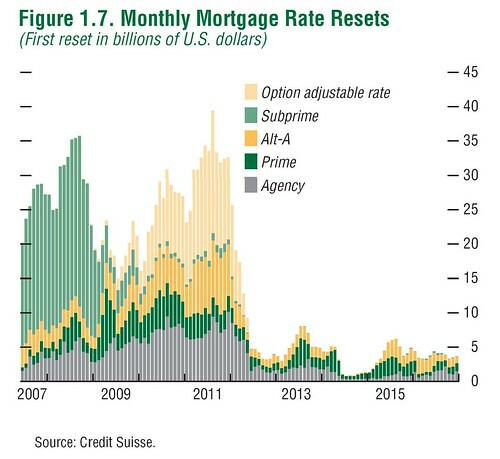 Alt-A and Option ARM – the 2nd wave after Subprime? Apparently, Subprime is only the 1st wave of loan defaults to hit the US. There is a 2nd wave, consisting of Alt-A and Option ARM loans. Check out this video snippet from 60 minutes. Alt-A = Alt-A loans are primarily credit-score driven, as its borrowers don’t have proof of income from traditional employment. If the above is true, it’s good news for property buyers down the road, bad news for people who bought other properties for investments. Generally though, it’s bad news for the world (especially Singapore), as the US mess will affect the rest of the world. This might mean a higher rate of retrenchments, unemployment, but hopefully not too serious a domino effect. Hopefully the Obama Administration is aware of this, and have plans to prevent the 2nd wave from happening. This entry was posted on Wednesday, December 17th, 2008 at 11:44 pm and is filed under Housing, On the News, Singapore Watch ver 2.0. You can follow any responses to this entry through the RSS 2.0 feed. You can leave a response, or trackback from your own site. I would like to bring a very important survey to your attention. This survey has an important impact on the upcoming Foreclosures and Job Loss that will result when millions of self-employed businesses default and fail. CBS 60 Minutes had a segment on this crisis. 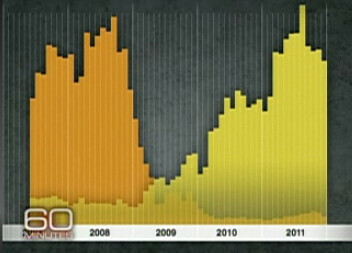 Happily, it has finally hit the mainstream media… “The Mortgage Meltdown” aired on Sunday 12/14/08. I am a Professor at Kean University School of Business. I ahve testified before the US Senate on this issue, and I would like to bring it to your attention. 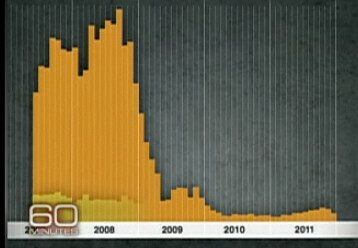 Scott Pelley’s piece on the 2nd Wave of Foreclosures overlooked a critical fact. The next wave of Foreclosures in 2009 Will Take Self-Employed and Smaller Businesses who have these TOXIC mortgages. In fact, ALT-A, Option ARMS, Interest-Only, the TOXIC Mortgages that are considered the “Troubled” assets in TARP were marketed to the self-employed who fell prey to them. An NASE survey,www.nase.org, was the first to provide compelling evidence of small business involvement in the upcoming toxic mortgage crisis. The survey was created by Prof. Samuel D. Bornstein( That’s me) and Jung I. Song, CPA of BornsteinSong Consultants in Oakhurst,NJ,and was conducted by the National Association for the Self-Employed (NASE) which issued a Press Release on November 21, 2008. I would like your help in bringing this to the attention of Washington or whomever you believe can help bring this to light.